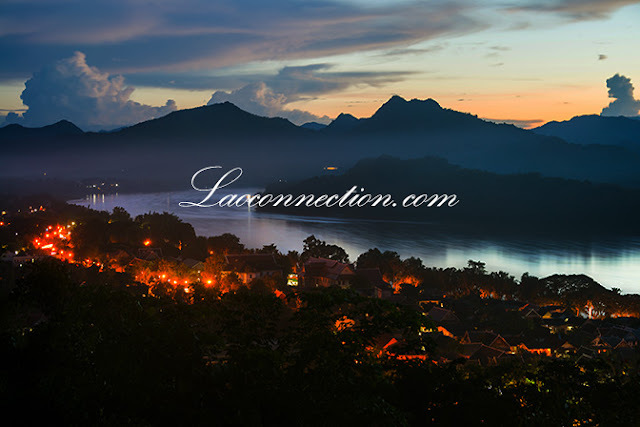 As the sun sets over Luangrabang and descends behind the mountains, the city begins to be lit up the lights of the market, businesses, homes, temples and some street lights. But it doesn't last until too late. Like much of Laos, there's an unofficial curfew as most Lao are both early sleepers and early risers. It's usually lights out no later than midnight.